· Club members Helen and Paul are enjoying their breakfast, which is being served by their fellow housemates. Paul comments to Brandi, “I’m not the best of eaters” to which Brandi replies “no you’re a savage actually” as she hands him a napkin. She continues, “I really quite like you, but I think you’re being abusive with your power” in relation to his status as a club member. · Sam, Jordan and Amelia are in the kitchen. While Sam looks for green tea, Jordan whispers to Amelia, “told you, Day 1 you and Sam I said it, I planted the seed. It’s growing, just enjoy it” but Amelia says “the lad’s oblivious.” Jordan promises to “find out” for her. · Big Brother has called the riff raff to the VIP club for another chance to win VIP membership. Above them are stars, which will fall randomly and must be caught by housemates in order to win the prize written on them. What the riff raff don’t know is that some of the stars contain punishments instead of prizes, and who receives what was decided earlier by the founding members of the VIP club. 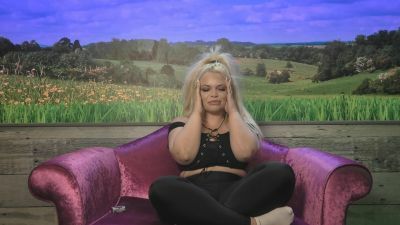 As Marissa received a killer nomination, she is not eligible to win VIP membership and will remain in the living area. · Brandi catches her star and wins VIP membership. Karthik’s star does not contain a prize. Jemma must later colour in pieces of popcorn with a felt-tip pen. Shaun’s star contains VIP membership. Trisha fails to catch her star and doesn’t win a prize. Chad wins the chance to join Amelia on the romantic dinner for two – Amelia tells Trisha that she isn’t excited. Sam also wins VIP membership. Jordan catches his star and is told by Big Brother that he must become a fisherman for the evening, complete with waterproof trousers and a great big stinking fish. Sarah drops her star and therefore does not get a prize. Sandi is the final housemate to catch a star and receives a signed photo of Paul. 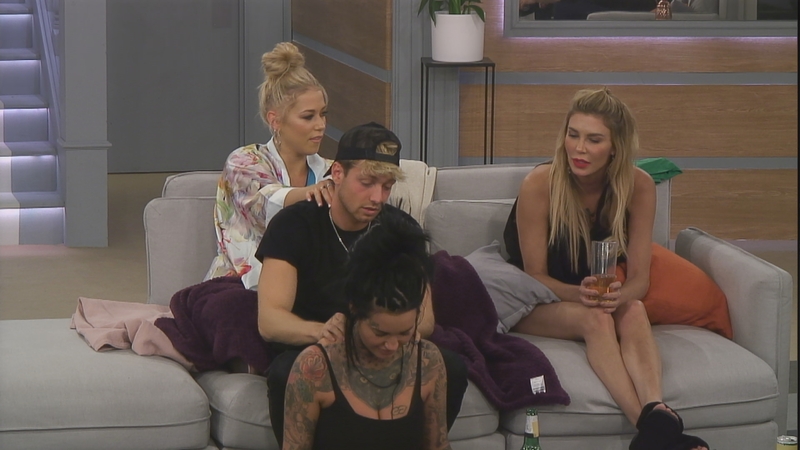 · Amelia gives Sam a massage, while he massages Jemma. Brandi laughs, “’it’s a train.” Amelia asks Chad if he wants to join in the train, but he declines. · The VIP members club has a party. · Sarah gets tipsy in the hot tub. 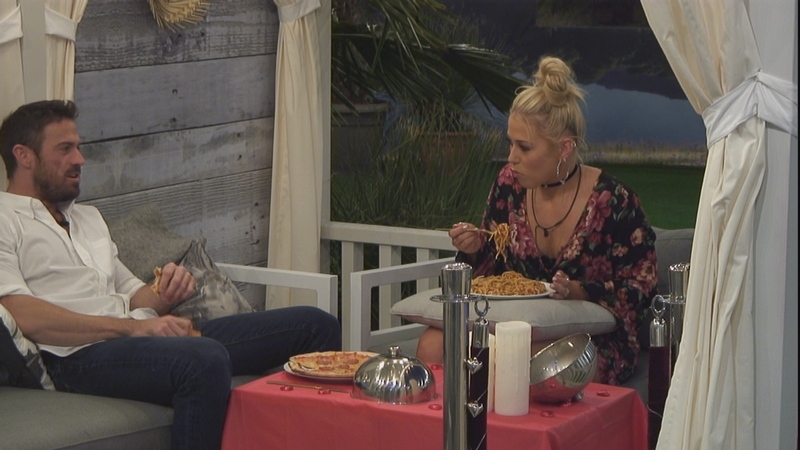 It's Day 5 of the series and Big Brother's Club members Helen and Paul are enjoying their breakfast, which is being served by their fellow housemates. Paul comments to Brandi, “I’m not the best of eaters” to which Brandi replies “no you’re a savage actually” as she hands him a napkin. She continues, “I really quite like you, but I think you’re being abusive with your power” in relation to his status as a club member. Sam, Jordan and Amelia are in the kitchen. While Sam looks for green tea, Jordan whispers to Amelia, “told you, Day 1 you and Sam I said it, I planted the seed. It’s growing, just enjoy it” but Amelia says “the lad’s oblivious.” Jordan promises to “find out” for her. Big Brother has called the riff raff to the VIP club for another chance to win VIP membership. Above them are stars, which will fall randomly and must be caught by housemates in order to win the prize written on them. What the riff raff don’t know is that some of the stars contain punishments instead of prizes, and who receives what was decided earlier by the founding members of the VIP club. As Marissa received a killer nomination, she is not eligible to win VIP membership and will remain in the living area. Brandi catches her star and wins VIP membership. Karthik’s star does not contain a prize. Jemma must later colour in pieces of popcorn with a felt-tip pen. Shaun’s star contains VIP membership. Trisha fails to catch her star and doesn’t win a prize. Chad wins the chance to join Amelia on the romantic dinner for two – Amelia tells Trisha that she isn’t excited. Sam also wins VIP membership. 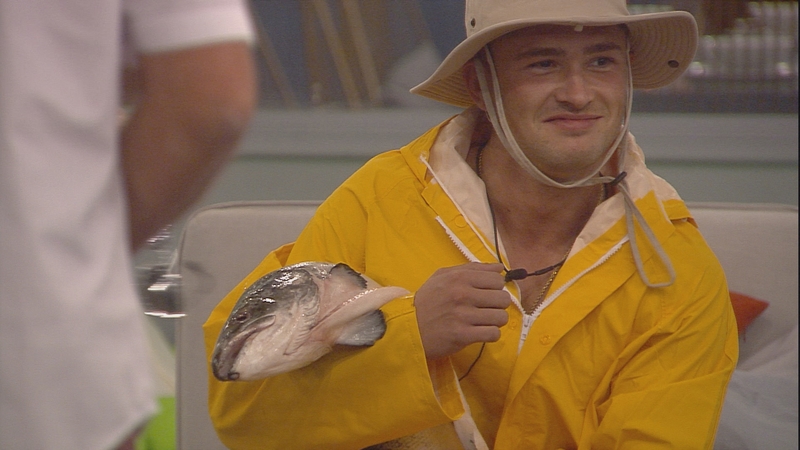 Jordan catches his star and is told by Big Brother that he must become a fisherman for the evening, complete with waterproof trousers and a great big stinking fish. Sarah drops her star and therefore does not get a prize. 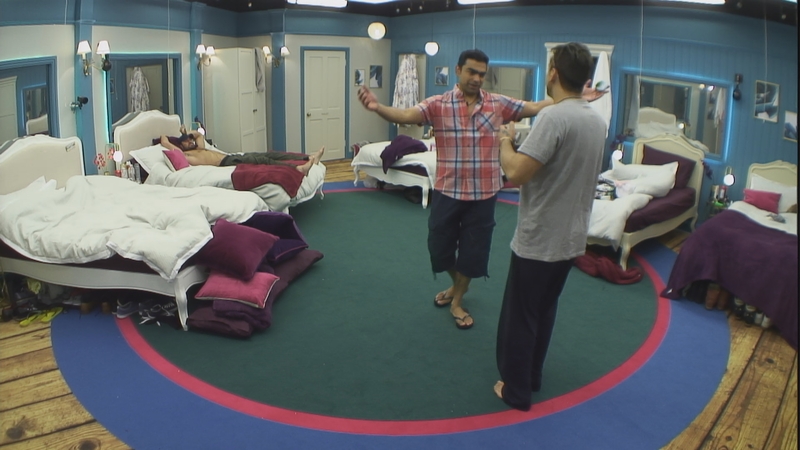 Sandi is the final housemate to catch a star and receives a signed photo of Paul. 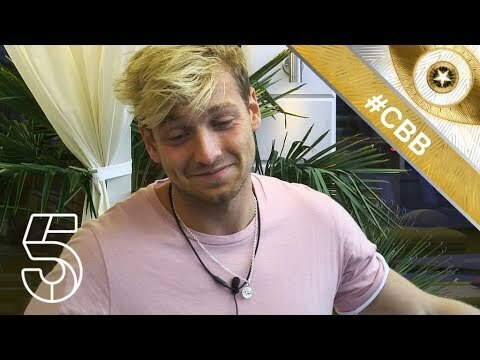 In the smoking area, Sam and Jordan are talking about Amelia and Marissa. Amelia gives Sam a massage, while he massages Jemma. Brandi laughs, “’it’s a train.” Amelia asks Chad if he wants to join in the train, but he declines. Paul later talks to Amelia about Chad while Chad opens up to Amelia in the bedroom about his feelings for her. I think Trisha is a bit of an oddball...harmless oddball.